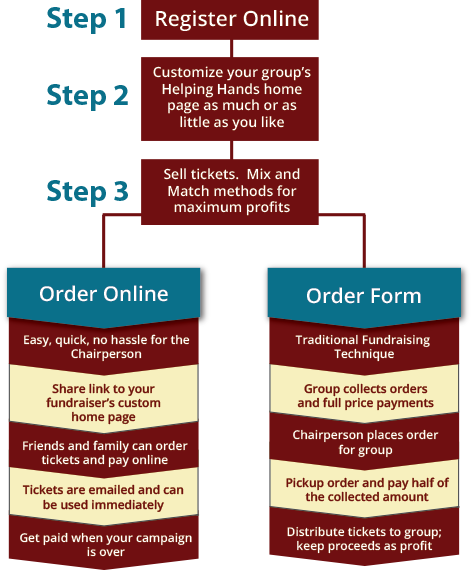 Helping Hands is dedicated to making your fundraising easy. As the Fundraising Chairperson, you'll have access to many online organizational tools: reports... social medial features... access to assistance. Help is just an email or phone call away. "We do really well with Helping Hands as our fundraiser even though we are a small group. It's so easy!"